A collection of roughly 70 different vineyard blocks for Alexander Valley Cabernet Sauvignon and Russian River Valley Chardonnay allows us to maintain the hallmark consistency and quality for which Jordan wines have become famous. Driven by the belief that great wines begin in the vineyard, Winemaker Rob Davis spends every morning traversing the rows of our grower vineyards and those at Jordan Estate. This daily ritual ensures farming adjustments are made where needed, whether pruning, composting or removing grape clusters to balance the vine’s canopy. By constantly examining the vineyards, Davis develops a clear picture of how budbreak, flowering and fruit set are affecting the plant, as well as how much natural acidity will remain in the grapes after fermentation. Davis uses his deep understanding of diverse soil types found in both Alexander Valley and Russian River Valley to identify the best sites for growing the quality of grapes we demand. His long-term relationships with a cadre of family growers and pay-for-performance approach toward winemaking have allowed Jordan to secure some of the finest grapes grown in Northern California. Our diverse collection of vineyards includes estate blocks, which have more clay-rich soils similar to the Right Bank of Bordeaux, as well as well-drained, mid-slope grower parcels with mineral-rich soils more reminiscent of Bordeaux’s Left Bank. Alexander Valley’s combination of soil type and vineyard location gives our Cabernet Sauvignon a silky complexity found in the great first growths of Bordeaux. The gravelly, porous soils in the Russian River Valley benchlands impart a seamlessness and subtle minerality in our Chardonnay, similar to the grand cru whites of Burgundy. These Sonoma County wine regions help to realize our French-inspired winemaking philosophy. Located at the northern end of Sonoma County, Alexander Valley is a long, narrow winegrowing region defined by the Russian River winding through its west side and Mayacamas Mountains lining its eastern borders. 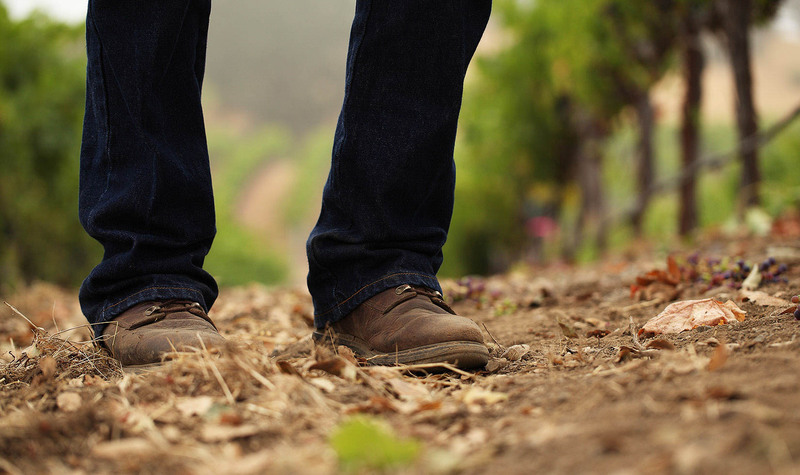 The diversity of the terrain and its soils is fascinating for both vintners and scientists. Located in the geographical heart of Sonoma County, Russian River Valley is sculpted by cooling fog from the Pacific Ocean near its western boundary. It is the largest of Sonoma County’s 16 wine appellations and where the top wineries go to source their cool-climate grapes.